This Mother’s Day, join us in Aurora for a special three-course dinner designed to express our gratitude for all that mothers do for us. Reservations available between 11:00 a.m. - 3:00 p.m. and 4:00 p.m. - 7:00 p.m. $45++ per adult, $15++ per child under 12 for special children’s menu. The setting, the service, and the food simply could not have been better. We were gathering with long time friends and couldn't have picked a better location for our reunion brunch - and impromptu bourbon tasting with Erin! Excellent food. Great ambience. Service was great. My wife is gluten free and they accommodated her. Delicious dessert. Highly recommended. Our dinner was fantastic and ambiance great. Every attention to detail was covered during our stay! 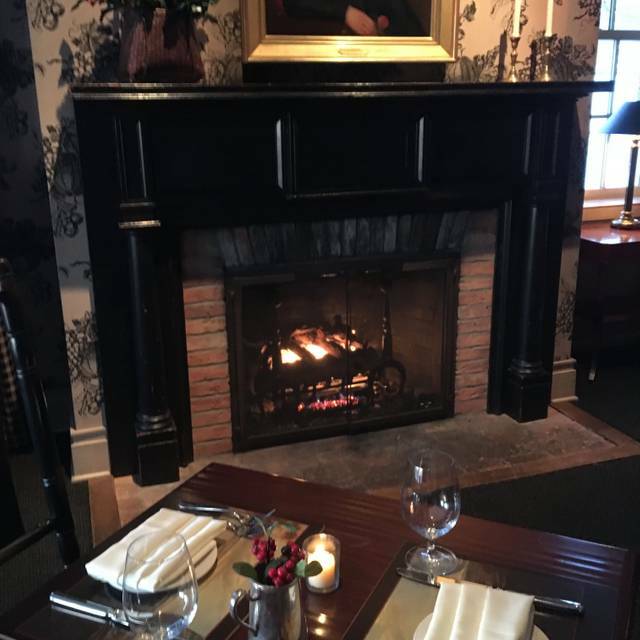 The Aurora Inn's dining room is one of our favorite restaurants in the Finger Lakes. The updates haven't changed the excellent food, wine, and service. 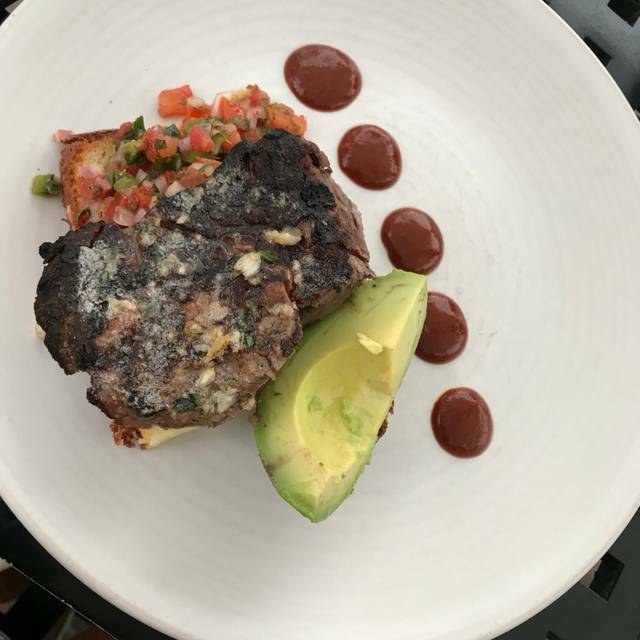 Our server was friendly, knowledgable about both the food and the wine and went above and beyond to create the perfect atmosphere. The restaurant manager, Ben, was so incredibly thoughtful. Plus, the setting on the lake is just gorgeous. We enjoyed our breakfast. The food was lovely and the view - spectacular. Outstanding. Unfortunately live out of town but we'll be back! We took the hour ride to Aurora on Saturday morning for a brunch at the Aurora Inn restaurant. All four meals were cooked perfectly and the service was very attentive. The omelets were excellent and the French toast was outstanding. We also enjoyed the country fried chicken with brussel sprouts. We recommend this brunch experience for anyone traveling to the Finger Lakes. Food and service were perfect! We dine here whenever we’re In the area and have never been disappointed. AMAZING food, atmosphere and service! We actually came to the Inns of Aurora for our Wedding Food tasting - we are getting married at the venue in August of this year. The food in the tasting (provided by 1833 Kitchen & Bar) was OUTSTANDING - We tasted the Beef tenderloin and gulf shrimp, honey roasted garlic chicken, seared salmon and twin broiled lobster tails. WOW. All were AMAZING! We also tasted numerous hors d'oeuvres. We are SO EXCITED to have our wedding here and feels great to know the food will be fantastic for our guests. We also had breakfast at 1833 and everything was delicious. 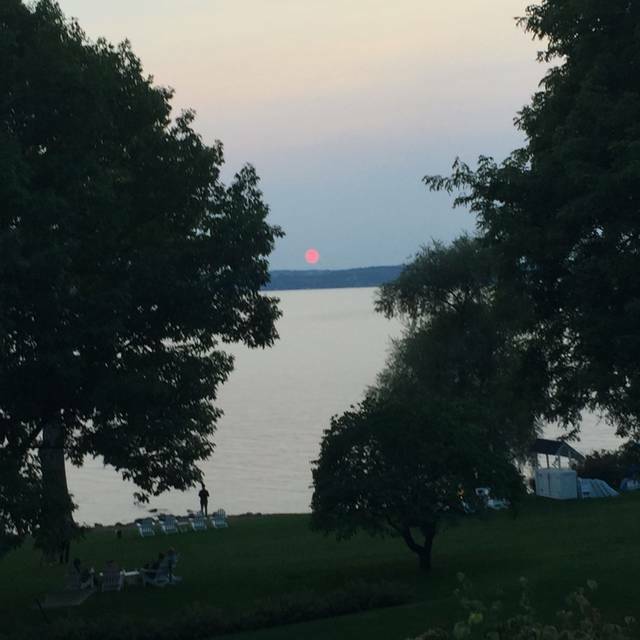 What an amazing view of Cayuga Lake, too! 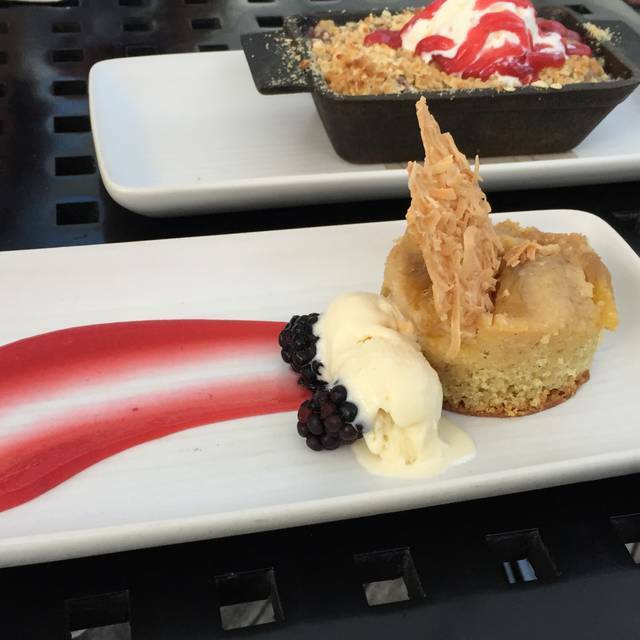 My wife and I enjoyed the experience of 1833 Kitchen & Bar while out for our anniversary. We had a great view out to the lake, and though the restaurant was busy, we still felt relaxed and able to carry on quiet conversation. Our favorite dish was the blue cheese stuffed dates (we'd definitely go back for those! ), but every dish was a pleasant surprise, and we didn't have to wait long for each course. The seasonal fish that night was Arctic char, and while the flavors worked, the dish seemed to miss some crunch to break up the texture. Overall, a great experience. We found the 1833 to be most enjoyable. From pre-dinner cocktails at the beautiful new bar to the view from our table overlooking the lake, everything was ideal. Our dinners were well prepared and the service and attention by Katy was outstanding. Birthday celebration, dinner was fantastic! I love the Aurora Inn. I come many times through the year, it’s one of my favorites! Our server Amanda is exceptional, very professional and knowledgeable. She is a delight! Everything was great! Good food. Great atmosphere. Our server got us a complimentary glass of champagne for our anniversary. It was nice of him to do so. It starts with great services. Joshua is a professional - cordial, informative, encouraging. Food was prepared beautifully, and everyone enjoyed everything, from wonderful bread, to perfectly cooked meats and fish. Bravo! Just for the fun of it, we decided to dine at the Aurora Inn and it was a good decision. The filled dates were scrumptious. Our main courses were delicious but we do wish there had been lamb. The 3 flavors of ice cream we shared for dessert were each so different and good. It was fun to analyze it all! We couldn't have enjoyed our dinner more, the food was exquisite, and the server, Amanda, was so friendly and attentive. What a wonderful experience! My wife and I enjoyed our Valentine's weekend celebration with an excellent meal at the Aurora Inn Dining Room. Great wine, food, service and atmosphere. We will be back again. We had an amazing experience. Great setting overlooking lake. Food was perfect. Our waiter was best I've experienced, he didnt miss a beat! Cant wait to go back! 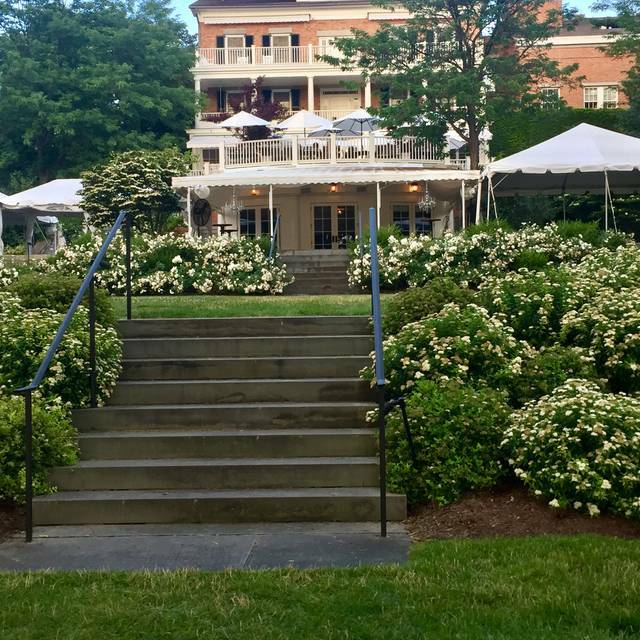 The Aurora Inn Dining Room is always amazing! This time when we went, it was busier than any other experience we've had here; but made the ambiance comfortable, relaxed, and still wasn't too loud. Our server Amanda, who we've had before, is always so personable, helpful, but never over-bearing! The seafood chowder was the highlight of the meal for me, although everything was delicious. My boyfriend had the beef tenderloin and he raved about it and loved the demi glaze it was served with. As always, the cheese and charcuterie plate is a must-have! Love it here. Valentines Day, everything was outstanding except my dish. My husband ordered the special 3-course meal (short ribs), I ordered from standard menu (duck). I was extremely disappointed that mine was prepared the same exact way as his, including same sides. Mine was supposed to be completely different and the reason why I selected it in the first place. They took a short cut I did not appreciate in the least. It was still prepared very well thus the 4stars. I’ll know better next time we go to clarify. 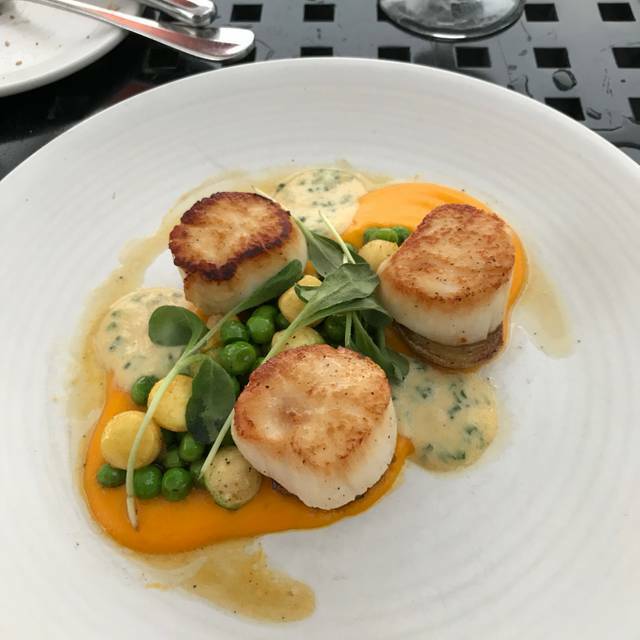 The dining room at the Inn is a place not to be missed! Valentine's Diner made for a perfect night....Great location for any special occasion. Yes, because it is beautiful and the food is good. However, for the price the portion size is extremely small. We have been to the Inn several times... always enjoy our stay very much. Staff and servers are top shelf. Food is very good... dinner and breakfast. Excellent food, service, and scenery. Highly recommend. Very nice meal, excellent ambiance, quiet, quaint and rustic yet tastefully elegant. 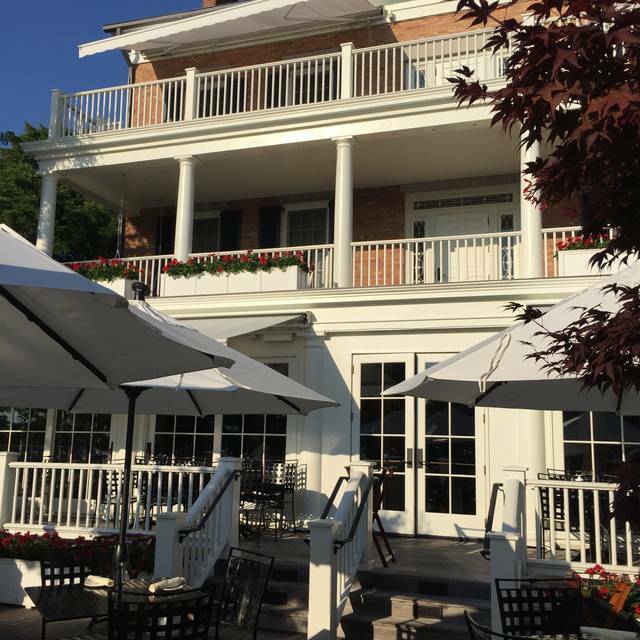 We chose to book rooms and dinner with the Inns of Aurora to celebrate our friend's 60th birthday - and we simply could not have made a better choice. The Aurora Inn Dining Room's farm-to-table menu is second to none in this region and the service team created an incredibly welcoming experience by situating our table in front of the fire, surprising us with a special cocktail, and having the chef personally come to our table to answer some of our culinary questions. It was an evening to remember! This restaurant is worth the drive and worth the time to explore. The food was outstanding, reasonably priced and so romantic. We loved our experience! Not enough good things to say. Best restaurant. Great menu with creativity abounding, and the service is fantastic. 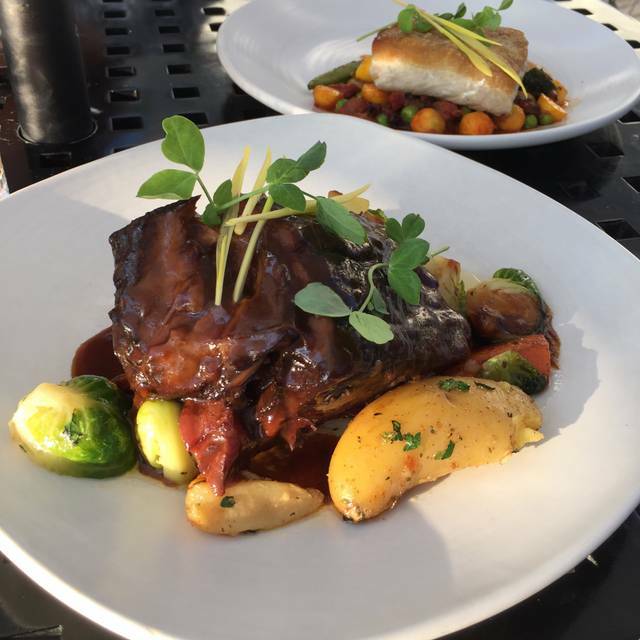 Amazing food and top notch service in one of the gems of the Finger Lakes region. This is a lovely restaurant and the staff was very attentive. Unfortunately, the food on the evening we visited was a disappointment. The foie gras appetizer was only okay, lacking a bit of sear, very small portion size for foie gras, and a mediocre presentation. The skate wing special was dry, possibly over cooked. The ice cream, billed as dark cherry and pepper, was a cherry cheesecake flavor - again fine, but not as billed. I suspect that the restaurant can, and does do, better - just not on our visit. Wonderful service in perfect setting for special occasion or off the grid experience. Perfect table with amazing view, excellent service and menu options were fabulous! So charming! We had a lovely time at Thanksgiving Dinner. Extremely friendly helpful staff, excellent service. Started with delicious biscuits, yummy seafood chowder. I am not a turkey fan so had tenderloin which was perfect. I would have preferred a small potato to the sweet potato gnocchi. Desserts were very small but good. My husband had the traditional turkey dinner and he said it was good, not super. Dressing was plain and turkey was sliced very thick with not a lot of gravy. Our table was overlooking the lake, the fires were going, it was a very nice day. We will return for sure as we love Aurora. 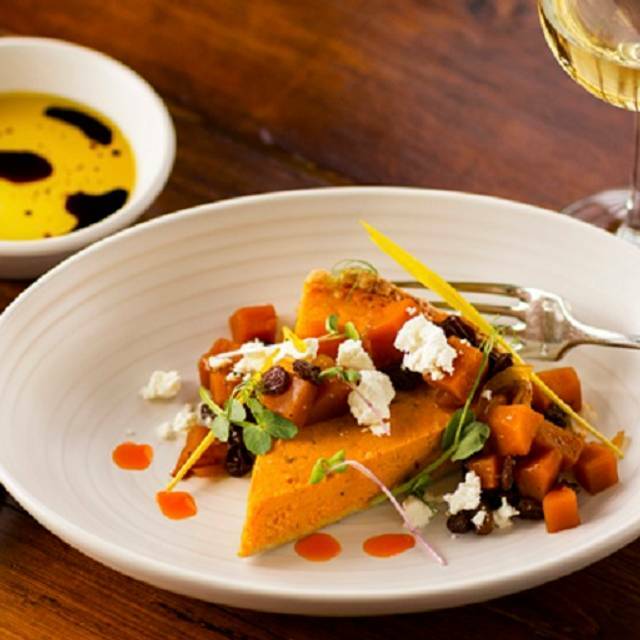 Absolutely delicious food from start to finish, and a large selection of local wines. Highly recommended! Definitely worth the drive from the Ithaca area.